Connecticut congressmen say they have secured passage of some amendments that could help homeowners with crumbling foundations. Two Connecticut congressmen said Thursday they have made progress in getting help for homeowners dealing with crumbling foundations. Rep. Joe Courtney and Rep. John Larson say they got a set of amendments passed that could bring some relief in the form of grants and tax breaks. One amendment directs the U.S. Department of Housing and Urban Development to tailor grants to match needs for people with crumbling concrete. Another directs the IRS to develop tax deductions for people with losses due to crumbling concrete, something Courtney and Larson discussed with Treasury Secretary Steve Mnuchin on Monday. A third amendment calls for developing standards for acceptable levels of pyrrhotite in concrete. Pyrrhotite is the naturally occurring mineral that experts say causes it to crack and led to the crumbling foundation problem in homes in north-central and eastern Connecticut. All this still must be approved by the Senate and signed by the President. 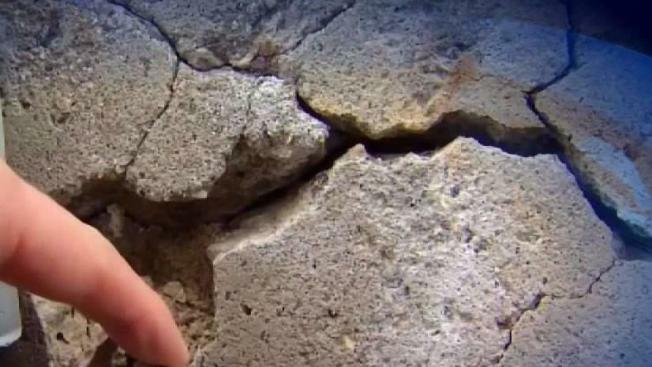 The Connecticut Department of Consumer Protection has received 563 complaints from residents who say the concrete in their foundations is cracking and crumbling. Courtney and Larson said the amendments mark the first time a full chamber of Congress passed measures related to crumbling concrete.